Donald E. Morris is featured in the December 2017 Edition of The Wholesaler as Person of the Year. The Wholesaler, a trade publication for the plumbing, heating, cooling and industrial PVF industries, selects one person for this honor each year. “As we searched for the 2017 Person of the Year for The Wholesaler magazine, we looked for an individual who exemplified some very straightforward traits—accountability, character, courage, commitment, graciousness, ability to inspire, loyalty, respectability, and most of all, approachability. 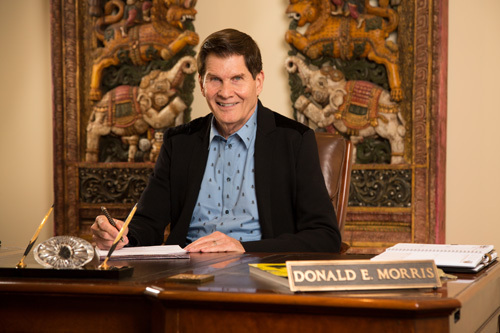 The feature article goes on to discuss Don’s career at Acorn and Morris Group International, his optimistic outlook for the future, and his legacy. Congratulations Don on this honor! Download a PDF of Don Morris' 2017 Person of the Year article here.